Limited companies are taxed on a percentage of their annual profits, it’s essential that this tax is paid in full and on time. At Keith Willis Associates, we provide comprehensive corporation tax services for small and medium-sized businesses in and around Nottingham. 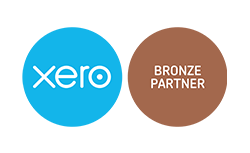 Our streamlined and professional service will make sure your corporation tax is filed with efficient precision – avoiding any risk of financial penalties. Late or inaccurate payment of corporation tax can be severely damaging for a small business. The later your tax is filed, the stronger the penalty will be – meaning you owe a higher percentage of any unpaid tax if you’re a day, three months, six months or a full year late. At Keith Willis Associates, we ensure that you pay corporation tax in full and on time, every time. We help you prepare, keeping you fully informed of what corporate tax bracket you fall under, and how much tax you’re obligated to pay. We can prepare your tax return and file it for you to ensure you remain fully compliant with current tax legislation. We’re dedicated to maintaining and growing the profitability of your business, so you’ll have peace of mind that your corporate tax is handled with complete precision. To discuss your small business corporation tax with us, contact our friendly team today.